Try these tips to avoid coming home to parched pots. So you're taking off on a big trip? Good for you. Studies have shown that vacations are good for your health, but now you have to figure out what to do about watering your beloved plants. The good news is that it's perfectly fine to leave plants on their own while you're away. It just takes a little planning and forethought. Well-watered houseplants will last for days, even a week, on their own. If you're heading out for a short time, give them a final drink just before you leave and move them out of sunny windows or hot rooms. Outdoor plants will dry out faster, so give them a soaking before moving them into a cool garage or laundry room to slow down their water use. If you have a plant-savvy friend who can come over a couple times a week while you are away, in exchange for your doing the same in return, that's ideal. Even a careful non-plant-savvy person will work in a pinch if you do a little pre-travel planning. 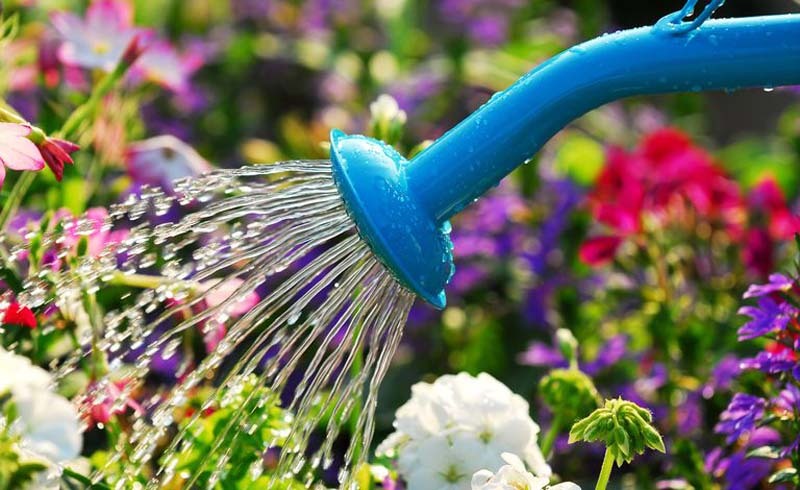 For a few weeks before you leave, keep track of how much water each plant tends to need and how often, and then leave specific instructions: "Give this plant ½ cup of water every weekend." Help your friend out by grouping plants with similar watering needs together on a waterproof floor and out of direct sun. Remember, your house may get warmer while you are away in the summer, so adjust care instructions to account for faster water use. If you have a manageable number of plants, you can buy a water-recycling terrarium or DIY one with a large clear plastic bag and keep them happy for months. Put the open bag on a waterproof floor in a room that will stay at a moderate temperature (cool in summer, warm in winter) and out of direct sun. To avoid tearing the bag, carefully spread a moist towel along the bottom, and arrange as many well-watered potted plants on the towel as will fit. Pull up the sides of the bag over the plant(s), blowing in air to puff out the bag, and twist it shut on top. Seal it with a twist tie or a rubber band. For an extra-airtight closure, fold the twisted portion in half, and wrap it with another rubber band. The plants inside will release water from their leaves and the excess will drip back down onto the potting soil, where it will be available to the roots again. I used the same plastic bag for three years to get the plants in my college dorm through school holidays, and they were still growing when I graduated. You can do the same for plants in outdoor containers. Just remember: Whether your plants are indoors or outdoors, keep them out of direct sunlight or your terrarium bag will turn into a solar cooker. If you have large and unmovable plants, prefer to avoid plastic bags, or just have too many to move, you can set up an easy wicking system that works indoors or out. You need some sort of absorbent wicking material — thick yarn, scraps of old natural-fiber rope, or strips of a cotton T-shirt — and containers (like bottles, bowls, or pails) to hold water. Note: Arrange a test pot to make sure your wick works well. 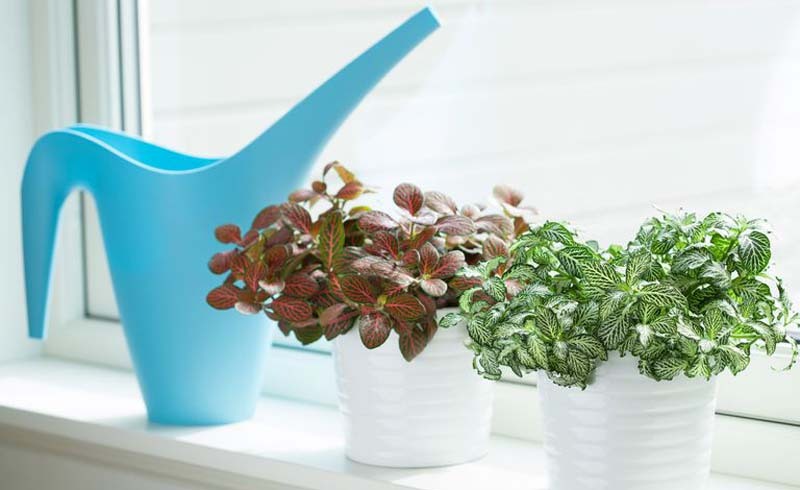 Set a container of water next to the plant; a single container can serve multiple pots if it's large enough. Place one end of the wick into the water, making sure it reaches the bottom of the container so your plant won't be left high and dry as it drinks, and poke the other end about three inches deep into the plant's moist soil. As the soil dries out, water will travel up the wick to replenish the moisture. f you have just a few outdoor containers, you may want to opt for Plant Nanny Wine Bottle Stakes. Simply screw a wine bottle filled with water to the stake, then insert the stake into your potted plant. The water will release slowly and steadily while you're away. Depending on the plant and its water needs, you may want to use two per plant. Invest in a slow drip system. If you have lots of outdoor containers, you may want to consider a drip watering system with an automatic timer. This will not only take care of plants while you are away, but also save you time even when you are home. These systems are very simple to put together and require no special tools (other than a punch that will come along with the kit), and you can arrange them to fit your garden's layout or containers' needs. A basic drip irrigation system will set you back about $100, but it will last for years. You can even redesign it as your plants change.